Preparing and filing your income tax return is a chore. If you are like a lot of people, you’d probably like to forget the whole thing, or at least put it off. That’s a bad idea. Failing to file federal income taxes on time or not filing at all may cost you a lot of money. If you owe Uncle Sam past due taxes, the Internal Revenue Service will start adding penalties and interest. The IRS imposes penalties for failing to file your federal income taxes only when you owe money. But even if you don’t owe any taxes, not filing can be costly. If you don’t file, you cannot get any refund you are entitled to. After three years you cannot collect a refund even if you originally had one coming. Not filing can create other problems as well. For example, you may need a copy of your tax return to qualify for federal student aid or to get a mortgage approved. 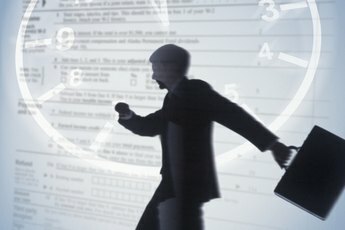 If you cannot get your federal income tax filed by the usual April 15 deadline, you can get an automatic extension in a few minutes by using the Free File system on the IRS website, irs.gov. 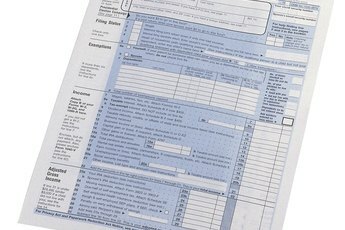 When you fail to file your return by the deadline, including extensions, the IRS tacks on a penalty of 5 percent of the amount you owe every month, up to a maximum of 25 percent. 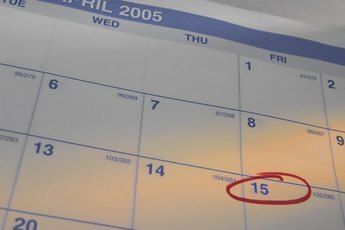 If you are more than 60 days late, the minimum failure to file penalty is $135. The IRS charges a failure to pay penalty if you owe money that isn’t paid by the time your taxes are due, including extensions. The penalty is 0.5 percent of the unpaid balance each month, up to a maximum of 25 percent. The failure to pay penalty is in addition to the failure to file penalty, if any. If you file your federal tax return on time, but are unable to pay what you owe right away, you can make an agreement with the IRS to pay the balance in installments. When you set up installment payments, the IRS cuts the failure to pay penalty to 0.25 percent per month. However, if you ignore bills for past due taxes, the IRS can jump the failure to pay penalty to 1 percent per month. In addition to the failure to file and failure to pay penalties, the IRS charges you interest on taxes not paid by the original filing deadline, usually April 15. Interest on unpaid taxes applies from that date even if you request an extension. The interest rate is variable and is calculated by adding 3 percent to the current federal discount rate. This interest rate is adjusted every three months. "If You Made Less Than $25,000 in One Year, Do You Have to File Taxes?" What Is the Penalty for Underwithholding Taxes?